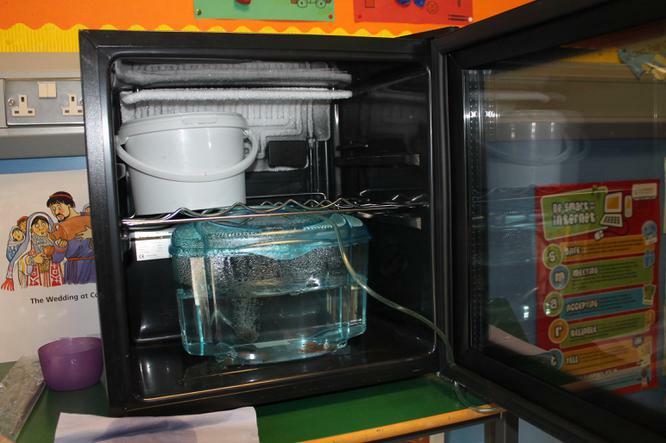 Mrs Campbell's Year 7 class have salmon growing in their classroom. The children had a taster session on Shared Education with children from Crumlin Integrated, Crumlin Integrated Primary and Gaelscoil Glenn Darrach. The children went to the hatchery to touch the fish and learn about the anatomy of a fish. 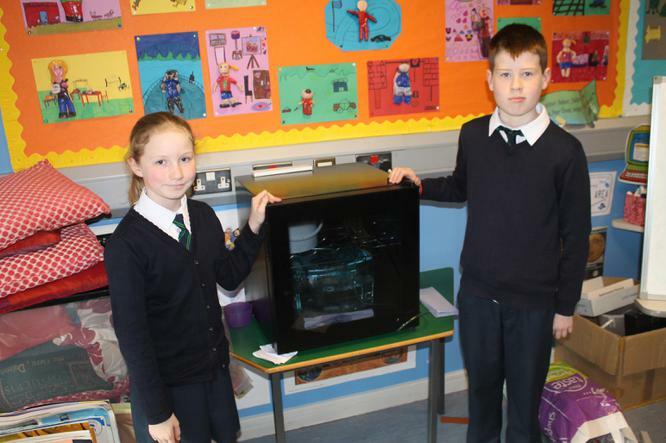 The hatchery sent a fridge to the school with 30 alvins (baby salmon) and Mrs Campbell's children are ensuring the temperature stays below 7degrees. 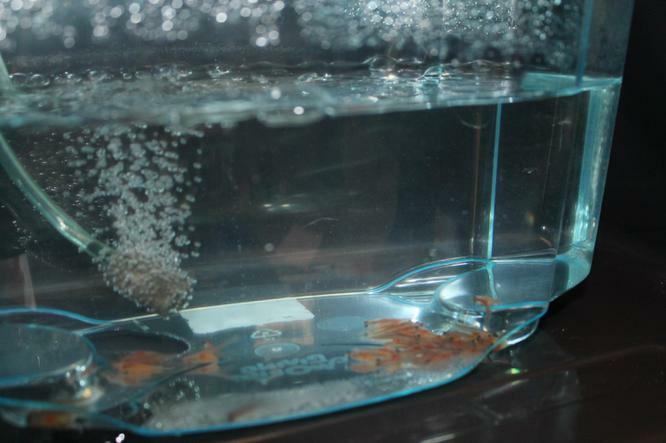 They do not have to feed the fish at the moment as they have a yolk sac. When the fish become salmon the children are going to go to Crumlin Glen and release them.